Shah Rukh Khan says that he is thankful to GOD!!! 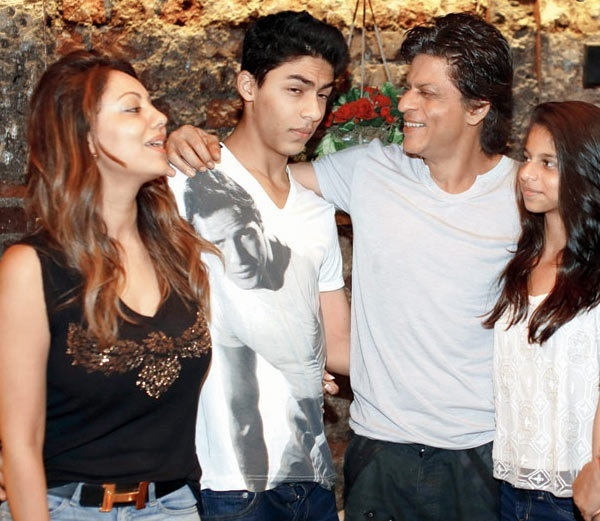 Shah Rukh Khan says that he is thankful to GOD that his children are not like him. Shah Rukh Khan is a man who loves his family very much. He always makes sure that he spends some time with his family, no matter how busy he is with his shooting. He has been a very caring father for his children. In an interview Shah Rukh Khan says that he is thankful to God that his children have not got his habbits which he thinks are very bad like smoking etc. He is happy that unlike him, his children take care of their health. He says all his children are better human being than him. Correct..really a very happy family! !